When we walk or stand our bodies often have to compensate for differences between our right and left side. These differences can be caused by a leg longer then the other, or a torsion in the leg, as rarely are we completely symmetrical. The compensation made by the body can result in pain occuring in a number of areas including the Foot and heel, plantar fasciitis, ankle, shin splints, calf, hip, knee, Iliotibial band syndrome, buttock, lower back, postural problems, flat feet and leg length differences as extra strain is put on these areas. Biomechanics is the study of the movement of the bones and muscles and how they affect our walking, running and standing posture. We use biomechanical evaluation, to investigate the function in the lower limb to assess any abnomalities and compensations. 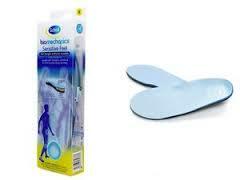 We can prescribe an orthotics to relieve these symptoms. An orthotic is an orthopaedic appliance used to support, align, prevent or correct deformities or to improve function of moveable parts of the body.